A pension is simply a tax-efficient long-term savings product designed to build up a fund to use when you retire. A well prepared pension plan which is regularly reviewed should go some way to providing you with a reasonable level of income in your retirement. Pensions come in all shapes and sizes, they can be as simple or as complex as you like. There are three main sources of pension benefits; the state, a company pension and/or a personal pension. 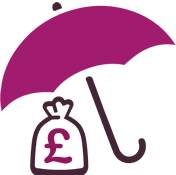 A state pension is a plan that you save up through your national insurance contributions then receive a regular payment from the government when you retirement. A workplace pension is a plan that's arranged through your employer and a percentage of your pay is automatically put into your pension each payday.